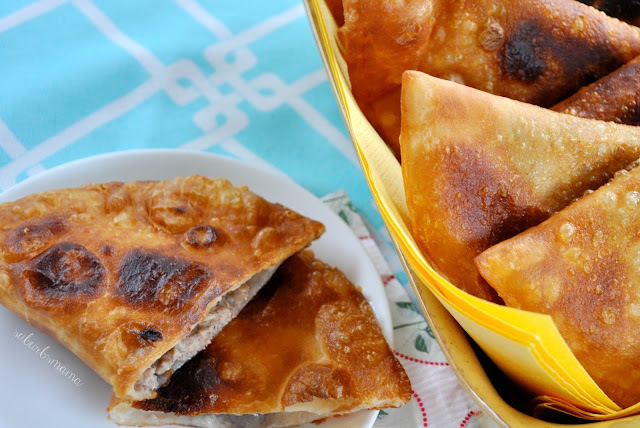 Chebureki are a common Russian street food, they can be a great appetizer or main dish. 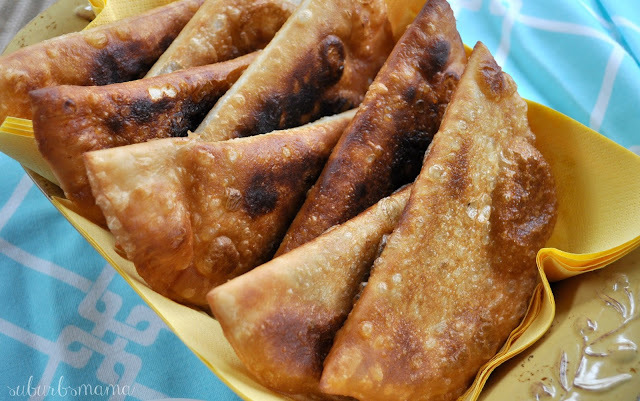 We can snack on them all day long or you can serve them with a soup or salad for a full meal. I take a shortcut and use store bought raw/uncooked tortillas, and they taste oh so good! 1. Grind 1 lb of chicken, 1 lb of beef, 1 small onion, garlic cloves into a medium sized bowl. I have this attachment for my stand mixer, which I have had for 10 years and it still works great! 3. Take tortillas and place about 2 tablespoons of the meat filling on one side of the tortillas, leaving a 1 inch space at the edges. 4. Whisk together egg white and a pinch of salt. 5. Brush the egg white mixture around the edges and fold the tortilla in half, sealing the filling inside. 6. Pinch the sides together by pressing a fork all around the edge, to seal the filling. 7. In a heavy skillet, cover the bottom with about 1 inch of oil and heat. 8. Fry 2 tortillas at a time, flipping when golden brown. 9. Drain on paper towels before serving.